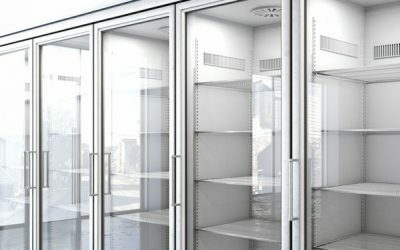 Central AC Systems are used to cool and heat all rooms in a property at one or more set Temperatures. 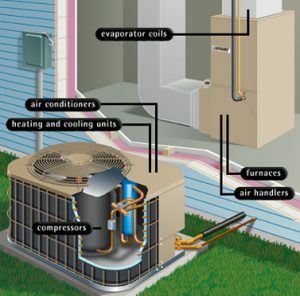 A common configuration consists of an outside unit called a condenser and an inside unit called an air handler or furnace. These type of systems are also called a split system. These type of systems vary in efficiency. They are measured by their SEER rating. (seasonal energy efficiency ratio). The higher the number the higher the efficiency or the more you save on your electric bill. The lowest rating as of 2015 is a 14 SEER. The highest as of this writing is a 23 SEER. Also the higher the rating the more expensive the equipment will be to purchase. The good news is that if your power company is FPL you can get a great rebate buy purchasing AC equipment above the minimum rating. The higher the rating the higher the rebate. 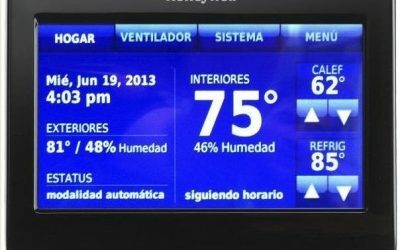 Of course there are other types of central ac systems depending on the application. There are also many manufacturers of these type of systems. Some claim to better than others of course. 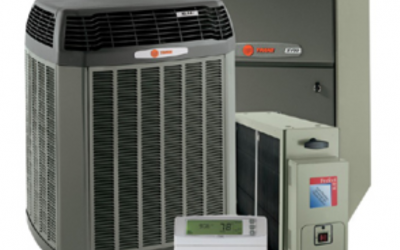 The main components of all central Ac systems is basically the same. Before making a decision on what type, manufacturer, and efficiency rating is right for you, consult with a professional to be sure your your needs are going to be met. Most homeowners do not have the knowledge to make this decision without expert advise. It’s a major expense. It can also mean major electric bill savings. If your current Ac System is older than 10 years, you can expect savings of 40% to 50% on your cooling bill. Call Ac Advantage for a free evaluation and see how much you can save.